« How often do I change my reeds ? Several weeks ago I ran across a tweet on Twitter about a 2 year old needing prayers. Curious, I went and checked it out and my life has not been the same ever since. I read the entire story of Layla Grace Marsh- a 2 year old girl from Cypress, TX that was suffering from high risk stage 4 neuroblastoma. Neuroblastoma is described as being cancerous tumors that form from the nerve tissue in infants and children. 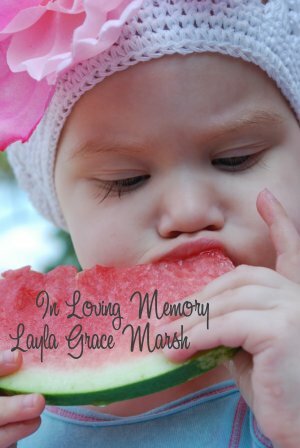 I cannot tell you how many times I cried while reading the entire blog at LaylaGrace.org It was touching, inspirational and heartbreaking all at the same time. Her parents, Shanna and Ryan Marsh, took to the internet to inform family and friends of Layla’s condition. And word spread. Well-wishers started reading Layla’s blog (written by her parents). People began to follow Layla at Twitter. Tens turned to hundreds and hundreds turned into thousands as people all around the world empathized with and prayed for the blue eyed little girl and her parents. The world was cheering her on ! Layla endured much. Far more than a baby her age should have to tolerate. Chemo, countless surgeries, ventilators, central lines, blood transfusions, radiation, a bone marrow transplant and more. Although there had been signs of promise along the way, in late January they learned that Layla’s cancer was growing and multiplying. Doctors gave Layla only a few months to live. Layla’s life was very purposeful and delivered many lessons to us all. Layla brought people together. Layla renewed our faith in god and, in some cases, introduced them to god for the first time. Layla brought us closer to our children. She strengthened families. We learned just how valuable our time was with our children and how short time really could be. Layla Grace and her parents also did something else that was very important- they brought much needed attention to childhood cancer. Although we had never met Layla- we all felt close to her because we read about and “shared” in her struggles. Her ups and her downs. 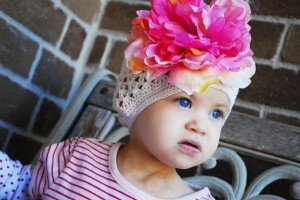 Layla Grace Marsh put a face on childhood cancer and made it very personal to us all. This 2 year old girl accomplished much in her lifetime. So in memory of Layla Grace Marsh and all the important work she did in her 834 days on this earth, we are hosting a fundraiser on March 13th and 14th. We will donate 30% of all sales to the Marsh family to help with medical bills and toward their future vision of The Layla Grace Foundation which will help fund childhood cancer research. (Currently only 2% of cancer research funds are used to research childhood cancers.. this foundation will aim to change that). We will also introduce the scent of Peony in honor of Layla. Layla loved flowers and often wore Peonies on her hat. RIP little Layla. You will never be forgotten ! This entry was posted on Friday, March 12th, 2010 at 8:57 pm	and is filed under News. You can follow any responses to this entry through the RSS 2.0 feed. You can leave a response, or trackback from your own site.